AOP4CSM is a monitoring approach that observes Quality-Of-Service (QoS) parameters of the Software-as-a-Service (SaaS) layer of Cloud environments. It is based on Aspect-Oriented Programming. 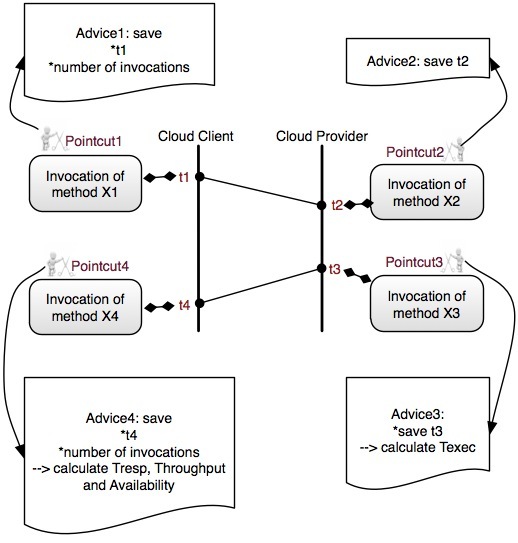 The whole approach is described in a paper that is submitted to the IEEE Cloud 2011 Conference.